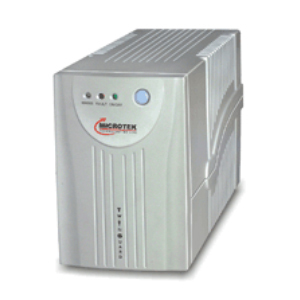 Extended Input Voltage Range of 135~300 volts: When the voltage fluctuates to as low as 150 volts & as high as 290 volts, these UPS give you the corrected line voltage output of 230 volts ± 9% and don't switch the UPS to Battery Backup mode like most other UPS. Smart Boost function for Low Input Voltage: When the mains voltage is low, the smart boost will correct it back to its normal range without draining the internal battery. Smart Buck function for High Input Voltage: When the mains voltage is high, the AVR or smart buck will correct it back to its normal range without draining the internal battery. Over Voltage Protection: The UPS will switch to backup mode and offers power from its internal battery when the mains voltage is too high. Over Load / Short Circuit Protection: If the UPS is excessively overloaded in backup mode or encounters a short circuit, it will go into protection mode. The output will be shut down in this case and will instantly recover on the removal of this condition. 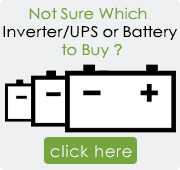 Battery Deep Discharge / Over Charge Protection: The UPS has in-built electronic protection circuit which protects the batteries from getting deep discharged or over charged. * Subject to availability of stock & delivery. Please read our shipping policy.